Once again, I lost track of time! There is always so much to do and so little time too! Our long waited Shetland Lambs finally arrived. 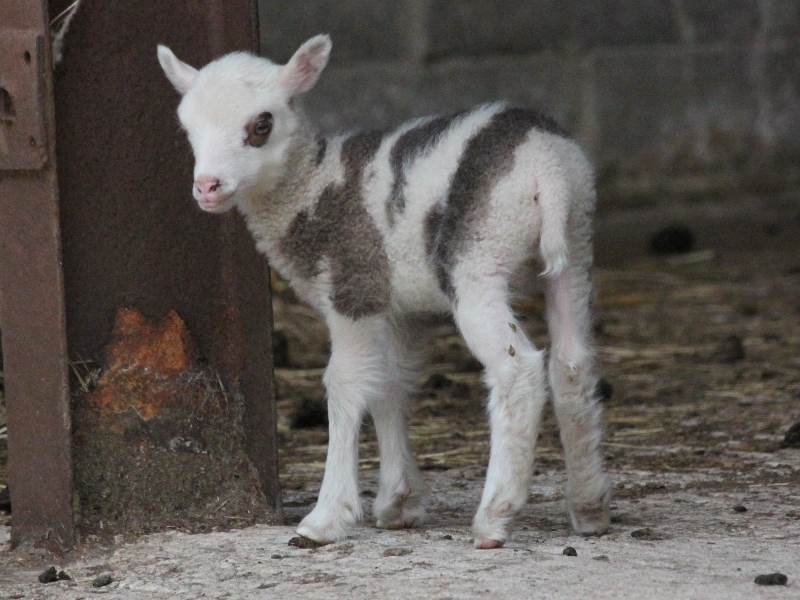 The first little lamb was born on Bank holiday Monday, 25th of June out of Bonnie. It was an easy birth, well, to be honest, it came too sudden and without any warning. Bonnie is first time mum and she did that all by herself and perfectly. 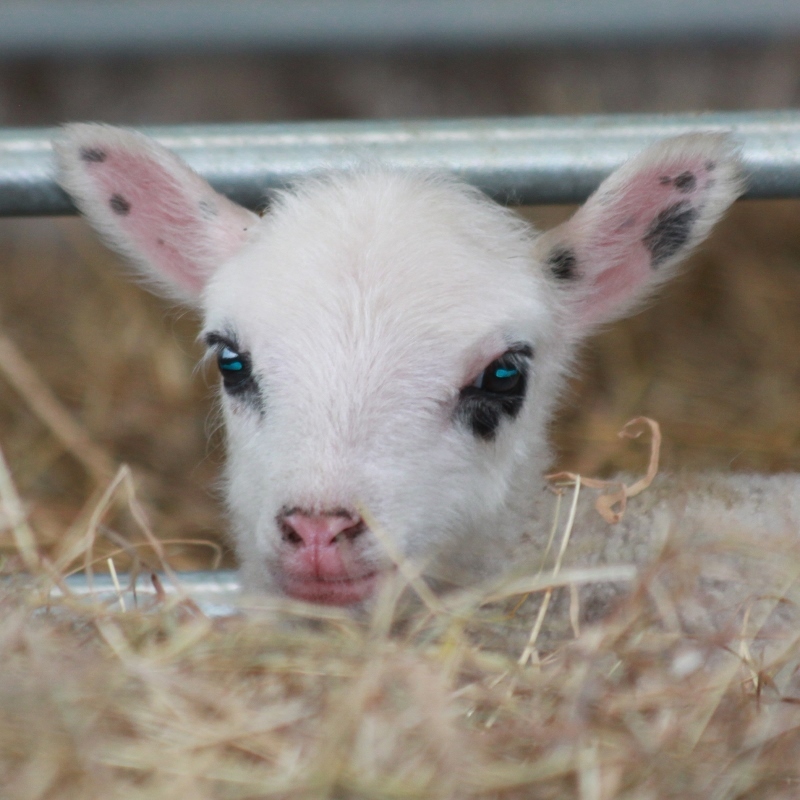 This is Pearl's little ewe lamb. She has some striking marking too. 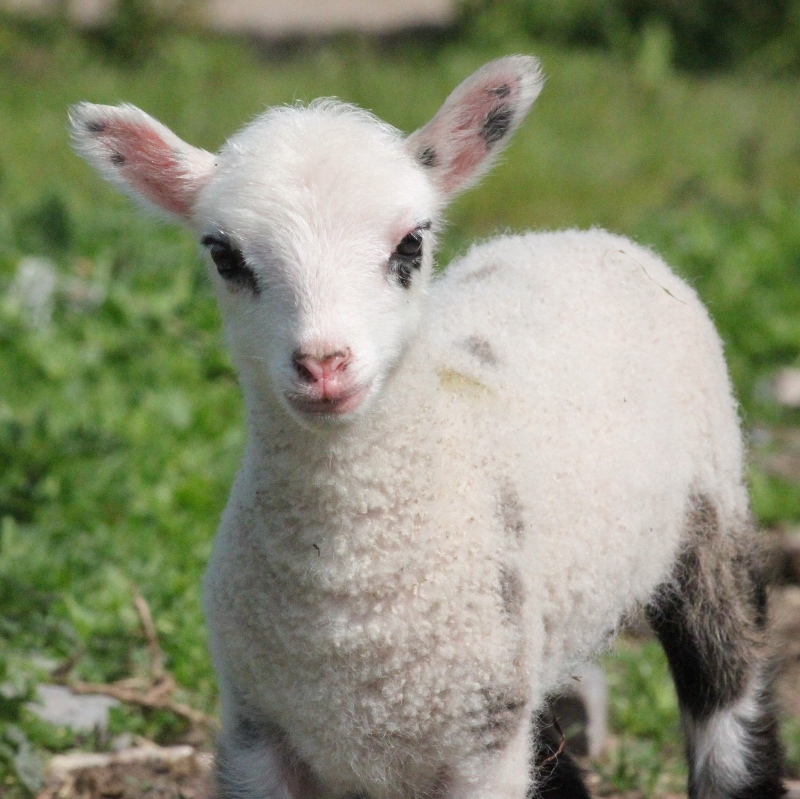 What amazed me is how strong these little lambs are. They are only hour old in these pictures. 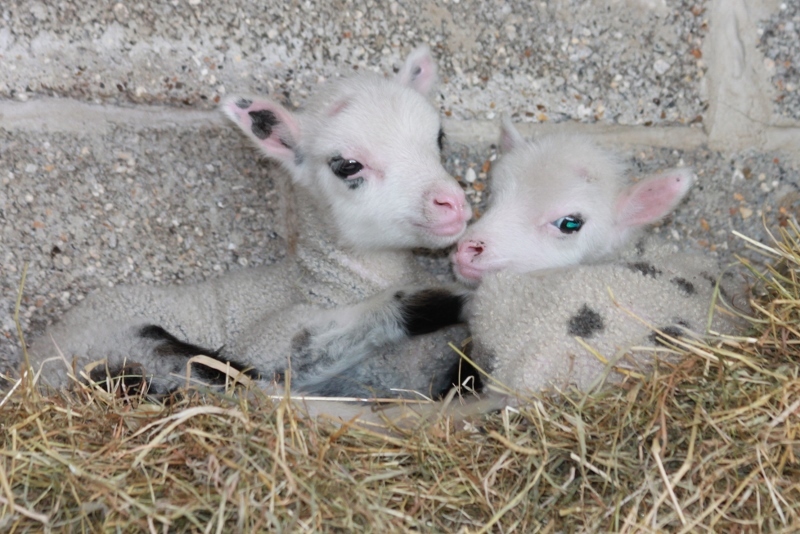 Two days after Pearl had her lamb, Lupin's twin were born. She has a little ram lamb and little ewe lamb. The spottie one is the little girl who I named Dottie :) She just reminded me of the Dalmatians :) I decided to call her brother Pongo. Pongo is very protective over her sister. It is lovely to watch when you have a set of twin. The interaction between two little lambs amused me. Lucy is the last mother to have her lamb, She has a little ram lamb looked just like her. She has a badger face and I have always fancy something different. Lucy is a bit hand shy so make it difficult to handle but she is a very good mum, very protective over her baby. We have mated five of the shetland ewes but sadly Pansy didn't take but I am very happy to have these 5 lambs. They are strong and healthy lambs. 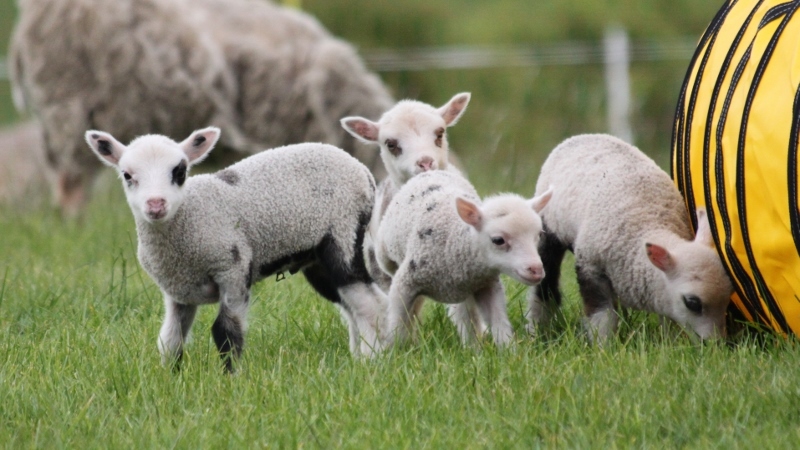 These lambs are three weeks old now. They are ready to go out and explore. They go out during the day with their mum grazing and they like to play in my agility paddock. They love to dash in and out of the tunnel. Such fun to watch. These babies are so funny, they are like teenager go out partying. When they run in and out of the tunnel, mother Lucy is so worried as she can't figure out why they go in one way and come out the other way. I stood there watching and laughing out loud! 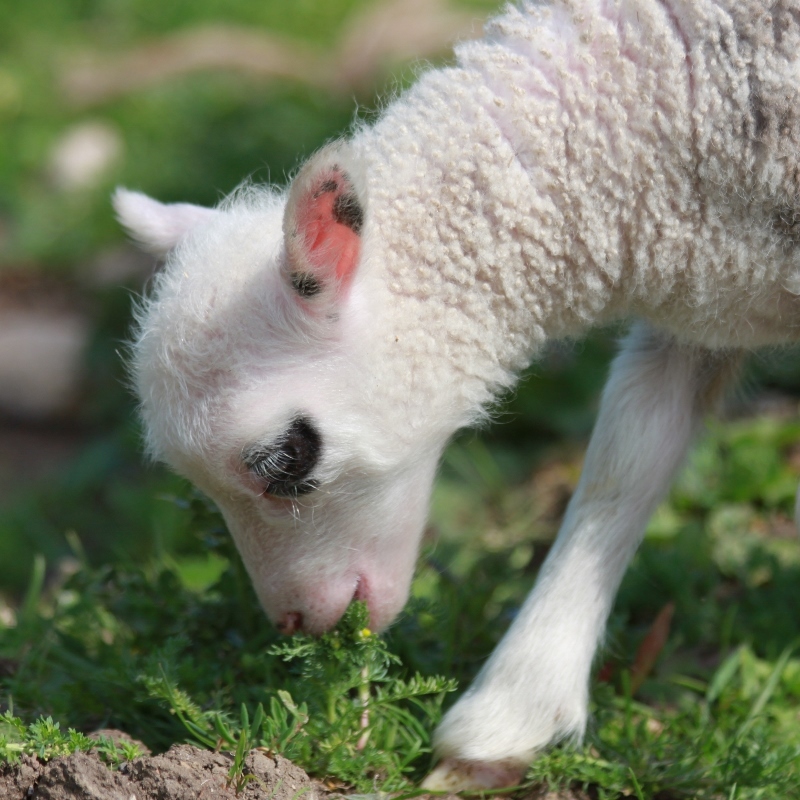 Little Mea is our first born lamb. She adores Sonic and she thinks she is a sheltie too. I love this little one so much. Sonic has his last Grade 6 win three weekends ago; he then went on to have two more Grade 6 wins, so he has six Grade 6 wins in total, he is well and truly up with the big boys and is ready to take on some Champ classes this year, hopefully. I started to make an Agility Journey video for Sizzle to mark our journey together from Grade 3 to Grade 7 and hoping to do one for every of my dogs. Sadly, I don't have all the videos of Sonic competing due to Colin's change of job and he has to stay back to look after the farm at some weekends. Watching back this Agility Journey videos of Sonic, I see a big changes in both of us. We didn't compete much in the KC shows in 2013 and 2014, due to Sizzle being injured and I am too worried about injury. Sonic is a little dog that has to jump Medium height; it's like little Sizzle has to jump Small height. They both are capable but thinking about long term and weekend in weekend out jumping that extra height, that really put me off a little bit. Instead, I competed with them at UKA and FAB shows where Sizzle is jumping Toy or Micro and Sonic jumping Midi. When I competed with Sonic at the KC International Agility Festival August 2014, I immediately see a total changed in my handling and how well Sonic has come around. Gaining his three Grade 5 wins in a row in such a big event still make me grin from ear to ear. One "spooky" fact is, Sonic has his first Grade 3 win in 2012 at Rugby Christmas Show, same venue as his last Grade 6 win at Dog Vegas at Solihull Riding School. To make it even spookier ... it's the same ring! Wait for it ... almost the same time too!!!! Don't ask me how I remembered the time, I don't but my camera which recorded the runs has the time on it! Our next big agility adventure is IFCS 2015 in Italy, not long now. Only 5 weeks until we leave! More about that later. I am no technology expert but I was trying to post a blog about Sonic and his injuries yesterday. I spent at least a couple of hours to write a rather long post about what has happened since September 2014. When I click "post", nothing happened. I was really annoyed as I cannot write another long post, first, I don't remember word to word (I normally write something as I go along); second, I don't have another 2 hours on the computer! I was given up on the post but I can't delete the post title and date! That really annoyed me! I don't like to leave a blank post! Later in the evening, I started to write again. It was not as long as the original post but I tried my best to write what I can remembered. Did I check after I post it? Nope but one my blogging friend left me a comment to say she didn't think this site has published my post in full. Grr ... Now I know why I hate blogging! WASTE OF TIME! I am starting a new blog in 2015 :) I will try to update as regular as I can to share the life of my shelties living in the farm.